Little Country Cottage Stitch Dots to take you away to far and happy places! 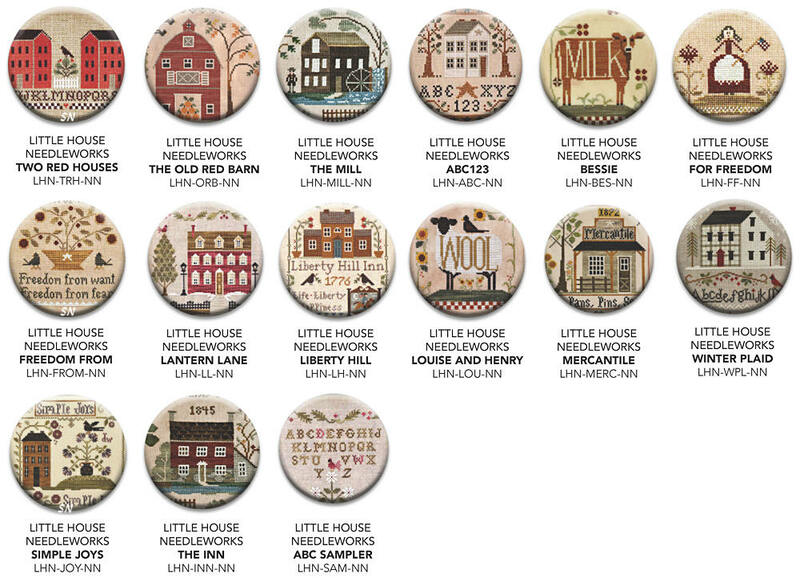 We have a TON of assorted Stitch Dots in the shop -- all miniatures of stitchery by about a dozen different designers. Each is a super-duper strong rare-earth magnet dressed up with a *DOT* of cross stitch! Use them as minders to hold your needles, the chart on your board, or even to decorate your frig or filing cabinet at work.